Discussion in 'Growing Areas' started by Cece, Dec 4, 2018. 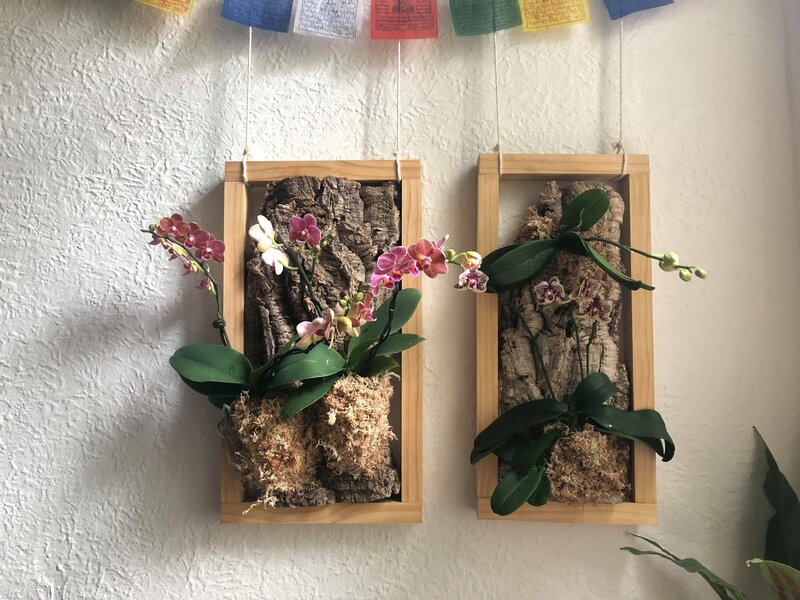 So happy to have found a place to nerd out about orchids - my friends and family are getting pretty sick of hearing me talk about it haha. 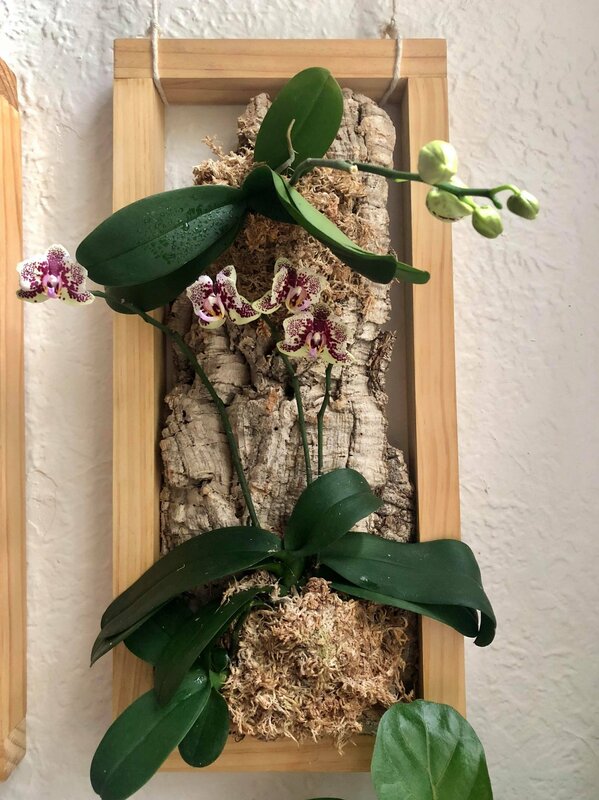 After seeing everyone else's awesome growing areas, I thought I'd show you guys my hanging mounted phals. The one with the speckled purple flowers has been up for about 4 months and is re-blooming for the first time since we mounted it. The one with pink flowers is much newer and has been up for about a month. The orchids seem to enjoy being grown this way as long as I keep on top of the watering as the medium dries out quite quickly. I hope they stay healthy for years to come! 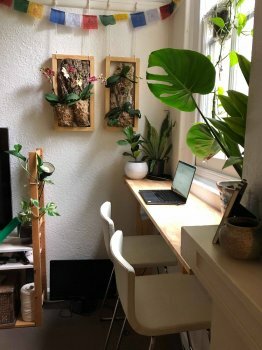 Those are some really beautiful displays! Thanks guys!! 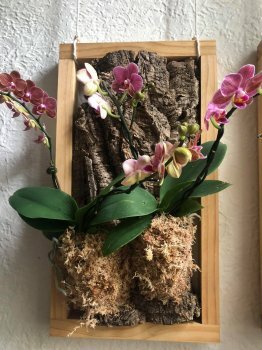 They are super easy to make - essentially just a piece of cork bark super-glued to the timber frame. 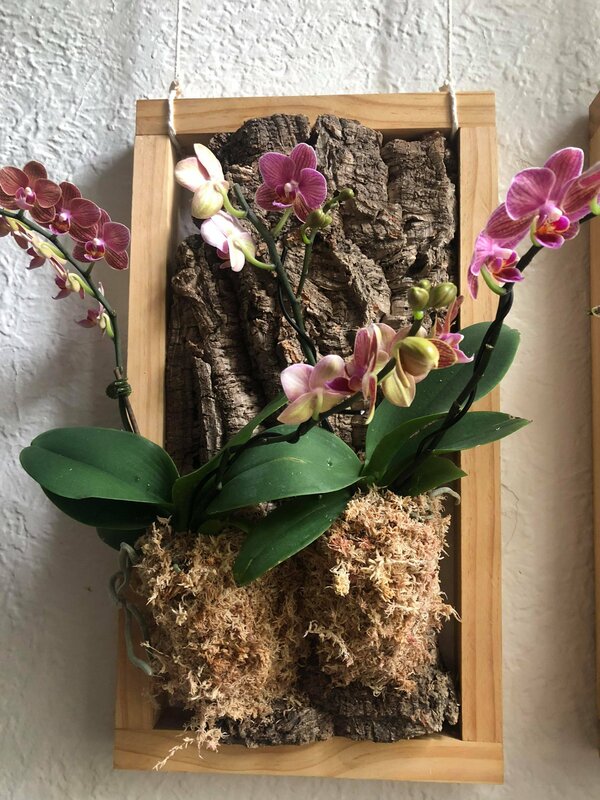 Orchids are attached using sphagnum moss and fishing line.